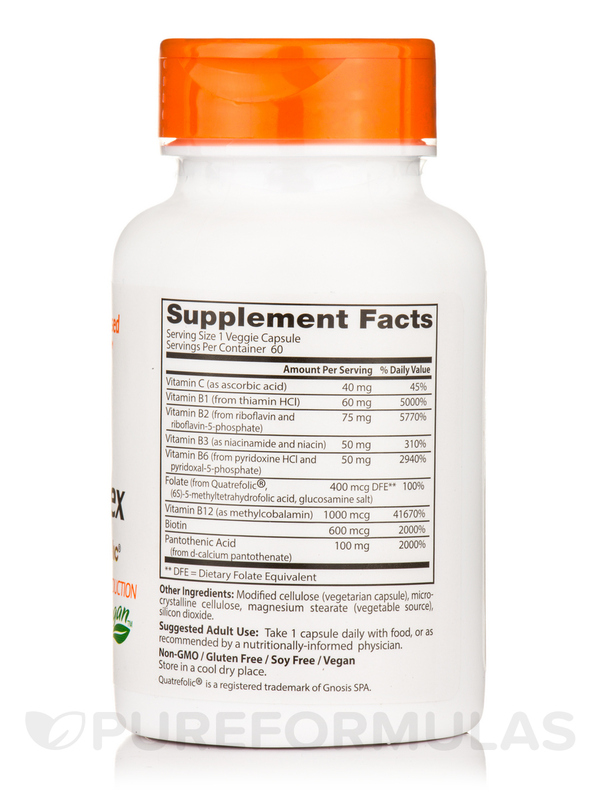 Helps support energy production and cell metabolism! 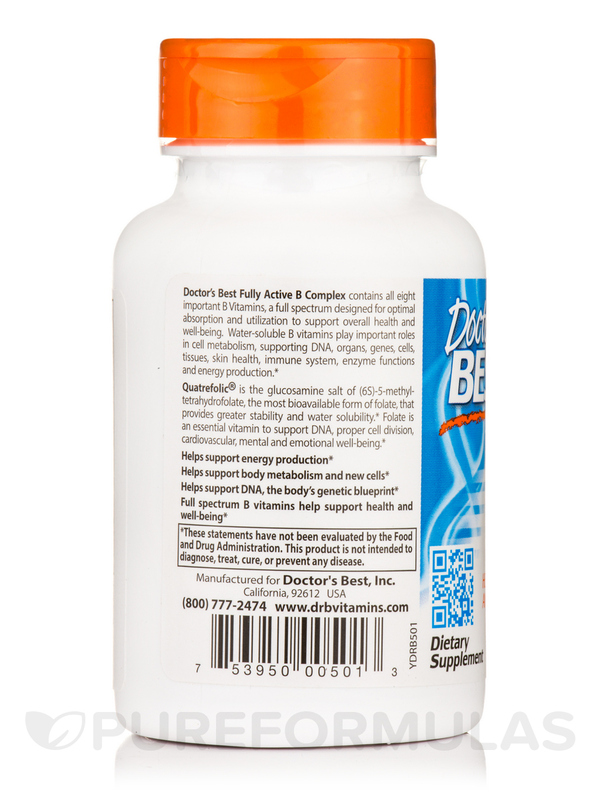 Doctor’s Best Fully Active B Complex provides energy and helps coping with stress. B vitamins are needed to make energy from foods‚ and to make and maintain DNA‚ genes‚ cells‚ tissues‚ organs‚ and enzyme functions. B vitamins are fundamental to life‚ and humans cannot make them‚ therefore we need to get them through the diet. 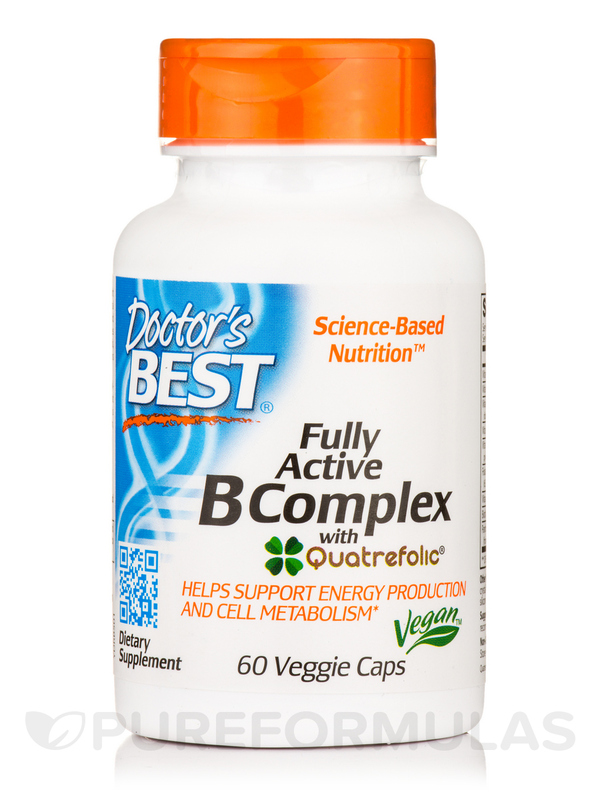 Doctor’s Best Fully Active B Complex provides only the best-utilized B vitamin forms. This includes fully active folate‚ the body’s most fully active folate and MTHF (methyl-tetra-hydro-folate). The Fully Active B Complex also provides fully active vitamin B12 as methylcobalamin (methyl-B12) to help ensure excellent oral absorption. 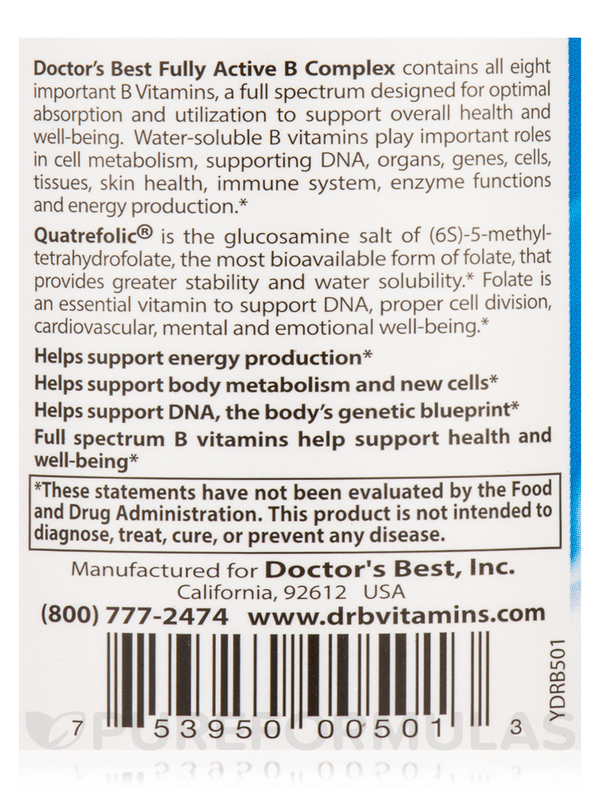 Other Ingredients: Modified cellulose (vegetarian capsule)‚ microcrystalline cellulose‚ magnesium stearate (vegetable source)‚ silicon dioxide. 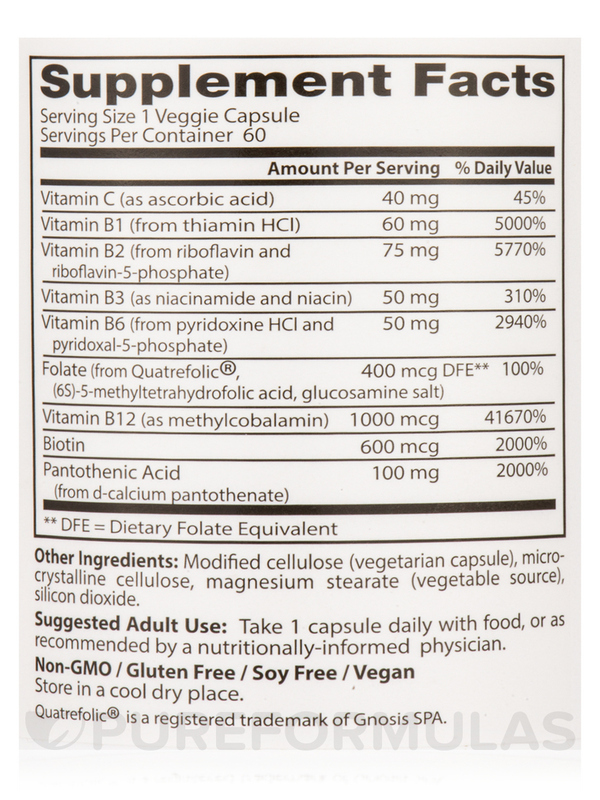 Adults‚ take 1 capsule daily with food‚ or as recommended by a nutritionally informed physician.